The police encountered the local inhabitants and hundreds of supporters who were entrenched in the building and its surroundings, but finally completed their mission. Fresh from understanding the "rationale" for the terror attack on Charlie Hebdo's offices, Kerry will reinforce the "rationale" for Temple Mount violence. In 2005, Ariel Sharon also promised a solution for every resident of Gush Katif. Regavim's official mission has nothing to do with Jewish settlements or with the two-state solution. 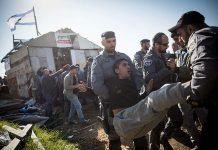 Outraged residents of Amona and Ofra are denouncing the Likud government that is enforcing a court order to demolish their homes. A blaze in Gush Etzion sent the Geva'ot forest up in flames, sending firefighting teams to the site. The protesters are demanding that deterrence be restored in the region. UK ambassador to the US Sir Kim Darroch has said he hopes May and Trump will emulate the rapport between Margaret Thatcher and Ronald Reagan. The panel made it the duty of the military commander in the area to enforce making the site accessible. The Netiv HaAvot neighborhood of Elazar was built in 2001 on land which was later claimed–with the urging and support of Peace Now–by the Mussa family of al-Khader, near Bethlehem. Twelve arrests were made in eastern Jerusalem overnight as Palestinian Arab terrorists continue to attack Israelis. Israeli drivers were being ambushed by Arab sniper fire Tuesday near the Samaria Jewish community of Beit El. No injuries were reported. "Yesha" and Binyamin Regional Council leaders said the attack "is not the path of Jews in Judea and Samaria." A month and a half ago, many residents of Yad Binyamin marked the 13th anniversary of their expulsion from Gush Katif in the Gaza Strip. The Obama administration is preparing to knife Israel in the back by forcing it to accept concessions on land and security to keep the Palestinian Authority happy. 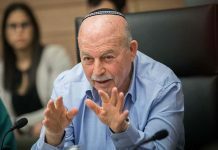 While the High Court of Justice does not investigate the legitimacy of claims made by Arab land owners, an administrative court will start with a demand for evidence, which, in a majority of these cases, is dubious at best. Israel is a step ahead of terrorists – but only one step ahead. 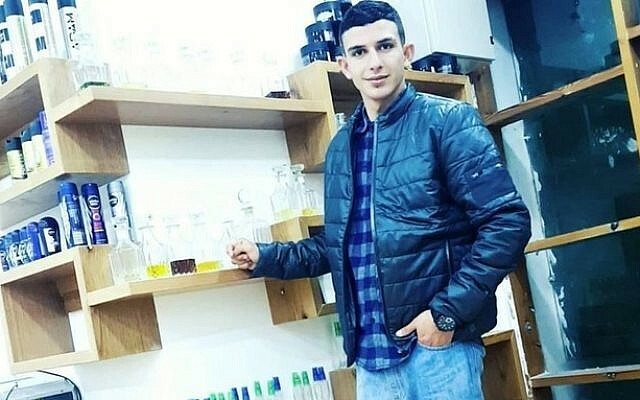 A Ramallah area terrorist cell linked with Gaza planned to kidnap a soldier and fire rockets on Israel. The Shin Bet foiled the plot. Seven years ago, mounted police viciously trampled sit-down protesters at the Amona outpost during an expulsion. Today, one family peacefully left under orders. The community remains locked in a legal battle.